SAN DIEGO, CA – August 14, 2014 – Youngevity International, Inc. (OTCQX: YGYI) (www.Visit.My90forLife.com), a global direct marketer of nutritional and lifestyle products and also a vertically-integrated producer of gourmet coffees for the commercial, retail, and direct sales channels, has teamed up with actor/celebrity and health advocate Danny Glover, to help educate individuals on the benefits of proper nutrition, activity, and wellness principles as solutions to the growing health concerns of diabetes and obesity. “I was only taking the products for a few short months when I realized Youngevity had made a huge impact on my health, more than anything I had ever taken. Relieving the pain was one thing, but knowing that there was an amazing solution out there that could help millions of others, that’s my mission now, I look at this event as the first step to a national healthy movement”, said Danny Glover, celebrity and actor. 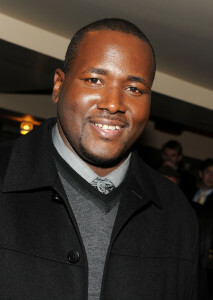 Another fan at the event was actor Quinton Aaron (Big Mike from “The Blind Side”). 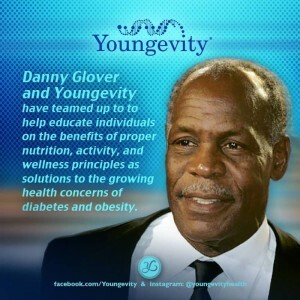 Danny Glover will keynote and host a presentation by Youngevity Wellness Expert and Scientific Advisory Board Member, Sanjeev Javia, on August 15th, 2014. Sanjeev Javia is an international Youngevity speaker who has presented Youngevity philosophies most recently at the Malaysian Medical Association, Mexico International Ingredient Conference, and American Association of Orthopaedic Surgeons. Youngevity and Sanjeev Javia will also be meeting with representatives of The Quinton Aaron Foundation, a foundation started by Quinton Aaron the star of the movie, The Blind Side, documenting the story of NFL Lineman Michael Oher. The Foundation was created to fight bullying and end childhood obesity. For more information, CONTACT us or Call Laurette or Paul Willis at 918-458-1800. We can show you how to save 30% on the products, get your products for free, and earn income sharing these life-changing health products of Dr. Joel Wallach with others.